Billiter Lane ran north-west from Fenchurch to Leadenhall, entirely in Aldgate Ward. Nearby landmarks included Blanch Appleton facing the opening of Billiter Lane on the south side of Fenchurch and Ironmongers’ Hall to the west of Billiter Lane on the north side of Fenchurch. Nearby churches were St. Catherine Cree on Leadenhall and All Hallows Staining adjacent to the Clothworkers’ Hall) and St. Katharine Coleman on Fenchurch. On the Agas map, Billiter Lane is labelled Bylleter la., although the name is hard to read because it runs north-west and is therefore nearly upside down from a reader’s perspective. In a 1653 edition of John Norden’s 1593 map, it is number 59, Billeter lane in the key (Norden). Prockter and Taylor normalize the spelling to Billiter Lane (26), as it was known until the nineteenth century. While the etymology of the street name may hint at the trade of its early residents, by Stow’s time the street was a place of social contrasts. On the west side of Billiter Lane, in the lee of a great house owned by the Clothworkers’ Company, was a row of shops and tenements that were occupied by widows and haunted by beggars. Stow glosses over the current state of the street by digging into the past, but evidence from other sources, including a 1612 ground plan by Ralph Treswell, suggests that Billiter Lane was a decaying street inhabited by inconsiderable people, as Strype was later to call them. [B]etwixt this Belzettars lane and Limestreete, was of later time a frame of three fayre houses, set vp in the yeare 1590. in place where before was a large Garden plot inclosed from the high streete with a Bricke wall, which wall being taken downe, and the ground digged deepe for Cellerage, there was found right vnder the sayd Bricke wall an other wall of stone, with a gate arched of stone, and Gates of Timber, to be closed in the midst towards the streete, the tymber of the Gates was consumed, but the Hinges of yron still remayned on their staples on both the sides. Moreouer in that wall were square windowes with bars of yron on either side the gate, this wall was vnder ground about two fathomes [ten to twelve feet (OED)] deepe, as I then esteemed it, and seemeth to bee the ruines of some house burned in the raigne of king Stephen [1135–1154 (ODNB)], when the fire began in the house of one Alewarde neare London stone, and consumed East to Aldgate, whereby it appeareth how greatly the ground of this Citie hath beene in that place raysed. When Stow says little about the present state of a street, building, or site, turning to other sources will often confirm that Stow was idealizing London through omission. The only literary reference to Billiter Lane in EEBO-TCP (as of 2010) comes from Sir Thomas More’s attack on William Tyndale in The co[n]futacyon of Tyndales answere, the third in a volley of words between the Catholic heretic hunter and the first English translator of the New Testament. According to Tyndale’s biography in the ODNB, Tyndale is intemperately pilloried on almost every page of More’s Confutacyon (Daniell). One of More’s ad hominem attacks includes this reference to Billiter Lane: Now in dede to say the treuth yt was not well done of Tyndale to leue resonynge and fall a scoldyng, chydynge, and brawlynge, as yt were a bawdy begger of byllyter lane (sig. Q1r). More was a Londoner, born in Milk Street and educated at St. Anthony’s School in Threadneedle Street, then at Oxford, the New Inn, and Lincoln’s Inn. As a married man, he lived at Old Barge, Bucklersbury, in the parish of St. Stephen Walbrook. Better known for his service to Henry VIII, and his subsequent disgrace and execution, he was also intimately involved in city politics. He served as under-sheriff of London in 1510 and was made free of the Mercers’ Company (House). He likely knew whereof he spoke, then, in placing bawdy beggars in Billiter Lane. We do have a very detailed view of the west side of Billiter Lane in Ralph Treswell’s 1612 ground plans for the Clothworkers’ Company. The properties on the west side had been acquired by the Fullers’ Company from St. Mary Spital in 1520. The Fullers and the Shearmen formed the Clothworkers’ Company in 1528, merging their respective landholdings (Schofield 74). Visible from the street was a row of small houses that formed a screen (15) for the great house behind. At the time of Treswell’s survey the great house was rented from the Clothworkers’ by Sir Edward Darcy. The size of the building meant that it could pass easily in and out of use as a company hall (29), and it had indeed been used as such by the Fullers’ from 1520 to 1528. The great house was a unique structure, described by John Scholfield as one of the largest private houses [in London], notable also for its multiple gardens and tennis court (27, 28). This affluence would have contrasted sharply with the houses that formed the front to Billiter Lane, all of them multistoried one or two room structures that housed butcher shops, other shops, and private residences. Treswell’s plan gives the names of some of the tenants. Arthur Harrison, who sublet from Sir Edward Darcy, had the two adjoining plots on the corner of Billiter and Fenchurch, as well as the house on the west side of the Fenchurch gate into the great house. To the north of Harrison were Widow Kinricke, Brian Wilson, Harrison’s kitchen, two chambers leased by Sir Edward Darcy on either side of the Billiter Lane gate into the great house, Tho. Aldrige a shope (Treswell Fig. 21; omitted from the list on Schofield 75), Richard Harris’s butcher shop, John Dickman’s butcher shop, Widow Smith, Widd Gall in The Hall A Shope (Treswell Fig. 21; Schofield 75 attributes this house to Thomas Gall), and Widow Halliwell’s shop. At the time of Treswell’s survey in 1612, the buildings had been partly rebuilt in stages (Schofield 15) by the Clothworkers’ Company, who had noted in 1556–57 that some of the buildings were about to fall down (qtd. in Schofield 74). But the chief Ornament of this Place is Billiter Square on the West Side, which is very handsome, open, and airy Place, graced with good new Brick Buildings, very well inhabited; and out of this Square is a handsome Free Stone Passage called Smith’s Rents, which leadeth to Fenchurch Street, where there stands also good Houses. In this Street or Lane is Billet Court [i.e., Billiter Court (Harben, Billiter Court )] Court, which is both small and ordinary. Billiter Square can be seen on the Locating London website, which references John Rocque’s 1746 Map of London, along with Lime Street Square to which it connected. Smith’s Rents is not labelled on Rocque’s Map. For a time, Voltaire lived in Billiter Square (Williams). Now known as Billiter Street, an alternate name in use by the early nineteenth century (Harben, Billiter Street ; Ekwall 113), the EC3 street in London’s financial district is shadowed by tower blocks. It runs one-way northbound, accessible only from Fenchurch Avenue (a street that did not exist in Stow’s day). Access from Fenchurch Street is blocked off. Daniell, David. Tyndale, William (c.1494–1536). Oxford Dictionary of National Biography. Ed. H.C.G. Matthew, Brian Harrison, Lawrence Goldman, and David Cannadine. Oxford UP. Subscription. Frank, Robert Worth, Jr. Chaucer and the London Bell-Founders. Modern Language Notes 68.8 (1953): 524–28. Hadley, Guy. Citizens and Founders: A History of the Worshipful Company of Founders, London, 1365–1975. London and Chichester: Phillimore, 1976. Hallett, Michael. The Technical Evolution. In Citizens and Founders: A History of the Worshipful Company of Founders, London, 1365–1975, by Guy Hadley. London and Chichester: Phillimore, 1976. 169–76. House, Seymour Baker. More, Sir Thomas (1478–1535). Oxford Dictionary of National Biography. Ed. H.C.G. Matthew, Brian Harrison, Lawrence Goldman, and David Cannadine. Oxford UP. Subscription. More, Thomas. The co[n]futacyon of Tyndales answere made by syr Thomas More knyght lorde chau[n]cellour of Englonde. London, 1532. STC 18079. Bodleian Library copy Reprint. 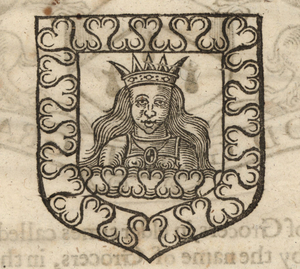 Early English Books Online. Web. Norden, John. London [map.] London, 1593. Reprint in 1653 with an index entitled A Guide for Cuntrey men In the famous Cittey of London by the help of which plot they shall be able to know how farr it is to any street. As allso to go unto the same without forder troble. London: P. Stent, 1653. Reprint. 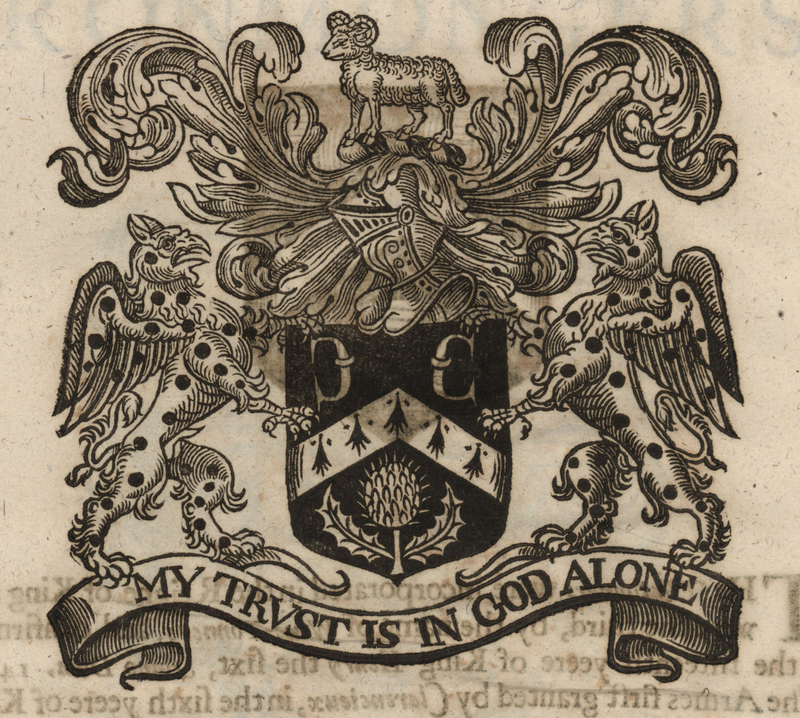 British Library Online Gallery. Open. Bibliographic information from British Library Catalogue. Stow, John, Anthony Munday, and Humphrey Dyson. THE SURVEY OF LONDON: CONTAINING The Original, Increase, Modern Estate and Government of that City, Methodically set down. With a Memorial of those famouser Acts of Charity, which for publick and Pious Vses have been bestowed by many Worshipfull Citizens and Benefactors. As also all the Ancient and Modern Monuments erected in the Churches, not only of those two famous Cities, LONDON and WESTMINSTER, but (now newly added) Four miles compass. Begun first by the pains and industry of John Stow, in the year 1598. Afterwards inlarged by the care and diligence of A.M. in the year 1618. And now compleatly finished by the study &labour of A.M., H.D. and others, this present year 1633. Whereunto, besides many Additions (as appears by the Contents) are annexed divers Alphabetical Tables, especially two, The first, an index of Things. The second, a Concordance of Names. London: Printed for Nicholas Bourne, 1633. STC 23345.5. Harvard University Library copy Reprint. 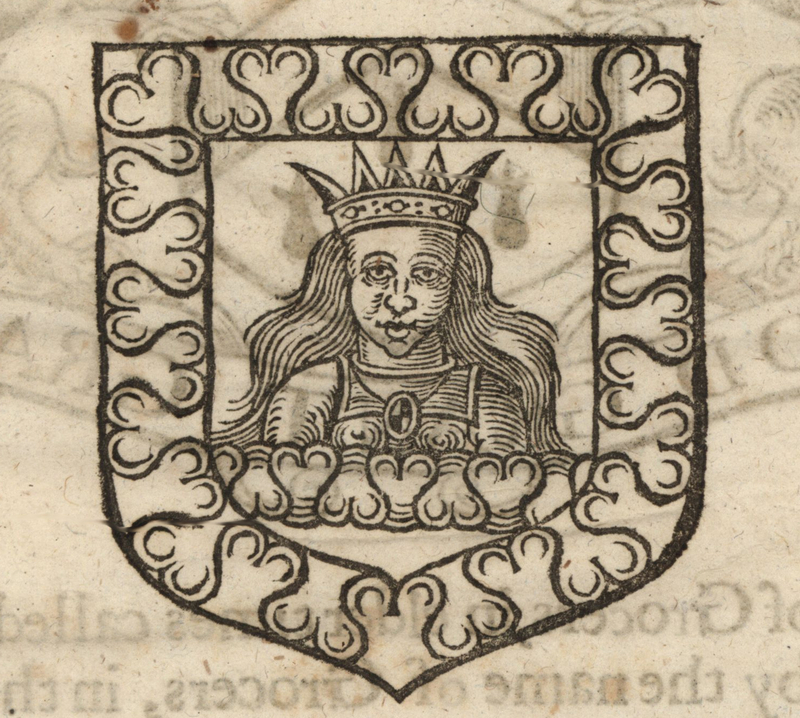 Early English Books Online. Web. Strype, John. A Survey of the Cities of London and Westminster: Containing the Original, Antiquity, Increase, Modern Estate, and Government of those Cities. London, 1720. Reprint. as An Electronic Edition of John Strype’s A Survey of the Cities of London and Westminster. Ed. Julia Merritt (Stuart London Project). Version 1.0. Sheffield: hriOnline, 2007. Web. Williams, David. Arouet, François-Marie [Voltaire] (1694–1778). Oxford Dictionary of National Biography. Ed. H.C.G. Matthew and Brian Harrison. Oxford: Oxford UP, 2004. Online edition ed. Lawrence Goldman. Oxford: Oxford UP, 2007. Web. Jenstad, Janelle. Billiter Lane. The Map of Early Modern London, edited by Janelle Jenstad, U of Victoria, 20 Jun. 2018, mapoflondon.uvic.ca/BILL3.htm. Jenstad, Janelle. Billiter Lane. The Map of Early Modern London. Ed. Janelle Jenstad. Victoria: University of Victoria. Accessed June 20, 2018. http://mapoflondon.uvic.ca/BILL3.htm. Jenstad, J. 2018. Billiter Lane. In J. Jenstad (Ed), The Map of Early Modern London. Victoria: University of Victoria. Retrieved from http://mapoflondon.uvic.ca/BILL3.htm. Bible translator and religious reformer. Whitechapel was a street running east-west to the Aldgate Bars from the east. Stow comments that the street, like Aldgate Street, was fully replenished with buildings outward, & also pestered with diuerse Allyes, on eyther side (Stow). The Founders’ Company was one of the lesser livery companies of London. 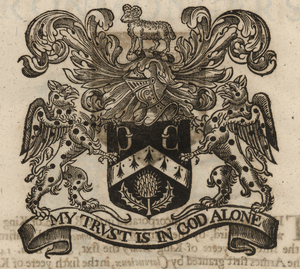 The Worshipful Company of Founders is still active and maintains a website at http://www.foundersco.org.uk/ that includes a history written by A. J. Gillett (The Clerk). Documents using the spelling Bylleter la.